We all have certain games on our phone that we’re trying to get our friends to play with us. Or maybe you’re texting someone new and you need something more fun than the standard questions asking what they like to do on the weekends. The problem is you usually end up playing the same people each time, or you have to wait for your credits to regenerate, or you have to convince friends to download the app. Gaming on our phones has become one of the biggest use cases along with social media and news consumption. How much more fun would it be if we didn’t have worry about all of that? I just want to play a game in my texting app with someone without going back and forth between apps. HangKeys is here to solve just that. 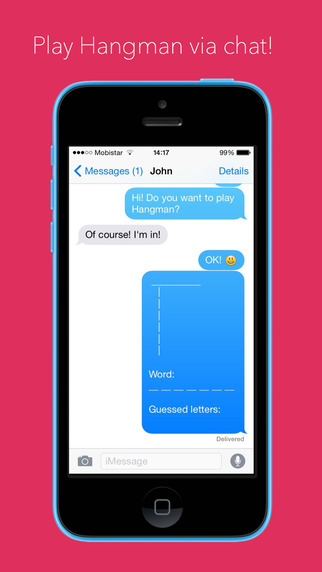 HangKeys is just the old fashioned game of hangman played for free within any of your chat apps. 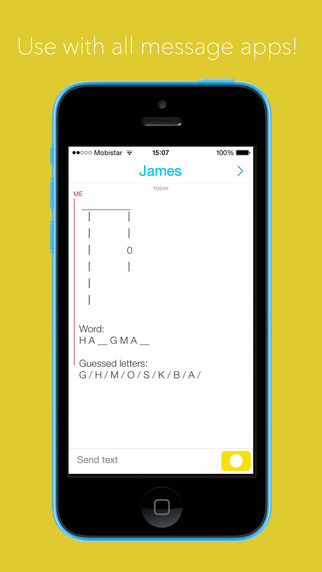 Play Hangman in SMS, Snapchat, Messenger, Twitter, WhatsApp, etc. 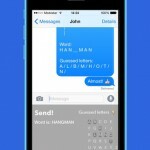 Anywhere you text back and forth, Hang Keys is there to provide entertainment and friendly competition between contacts. Only one person needs to download the Hang Keys app and then invite through any chat app. No more trying to get two people to download the app, no more bouncing back and forth between windows. It is just the easiest way to play a simple, classic, game. Lastly, because it runs through your messaging apps, Hang Keys doesn’t eat up very much data and doesn’t require a strong connection, and it doesn’t even use up much battery. 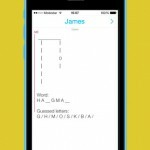 The app is designed well and honestly there isn’t much else to be said about the experience inside because most of the use comes from playing Hangman within the chat apps, but the value is in its simplicity. 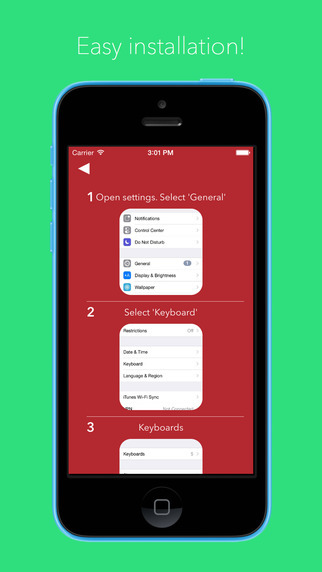 HangKeys is free and downloads in the form of a keyboard that you can keep track of what letters you have chosen and what the word you’ve selected is. Personally I hope the long term goal for this app is to include several games like Connect Four or War or any other simple games because the convenience of not needing to open another app is genius. Available just for iPhone and released on May 30th, HangKeys already has several positive reviews in the iTunes store and also works on iPad. It might even be the one game you can get those less tech savvy family members to join in on considering there is little teaching required. Overall considering the app is free, it’s definitely worth a download as a time waster and something fun to play with friends or significant others when the conversation runs dry. Everyone knows how to play Hangman and it will be easy to get new players on board. Hopefully in the future the creators add new games based on popular demand. The design and presentation could obviously be nicer because all the app has to work with is the basic letters and symbols of a keyboard. That said, the functionality seems to be where the real draw is for HangKeys. 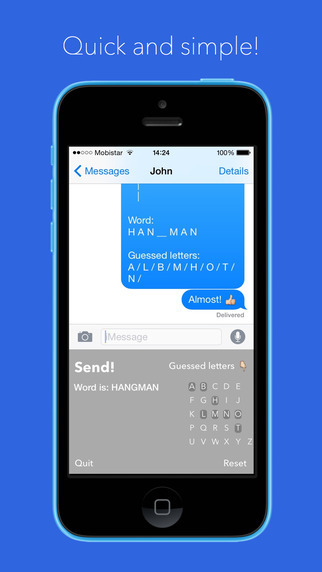 HangKeys - Hangman for Message apps! 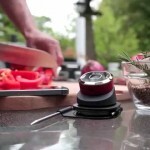 iDevices iGrill Mini - What is it? A Phoenix, Arizona native, Sean Wendt writes and explores all things entrepreneurship. 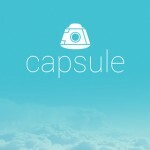 His own app, a free text scheduler for iPhone, can be found at http://downloadcapsule.com. With most of his time spent working on side projects and listening to sports talk radio, he's always on the lookout for upcoming apps and technology.